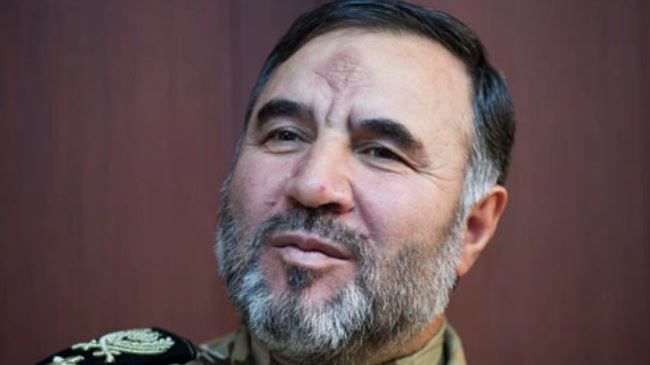 Tasnim – Commander of the Iranian Army Ground Force Brigadier General Kiomars Heidari highlighted the military might of the Islamic Republic and said Iran’s armed forces are a hundred percent ready to protect the security of not only the country but also the region. “The Iranian Army Ground Force is unique in terms of possessing armored and artillery (equipment) and fleets of helicopters and human resources,” Brigadier General Heidari said of his forces in a speech in Tehran on Sunday. “Today in the Armed Forces, we are 100 percent prepared to ensure the security of the region and our country,” the commander went on to stress. Iran is considered by many experts as the “island of stability” in a region which faces many security challenges. In August last year, Leader of the Islamic Revolution Ayatollah Seyed Ali Khamenei highlighted the strong security in Iran despite crises and insecurity in the region. “Thank God and through the appreciated efforts and endeavors of the military and security forces, the country enjoys a strong security shield while regional countries are filled with incidents and insecurity,” the Leader said at the time.